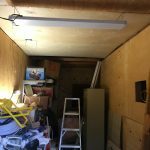 I am setting up a workshop space where I can display and work on my collection, This space is in a detached building on my property. 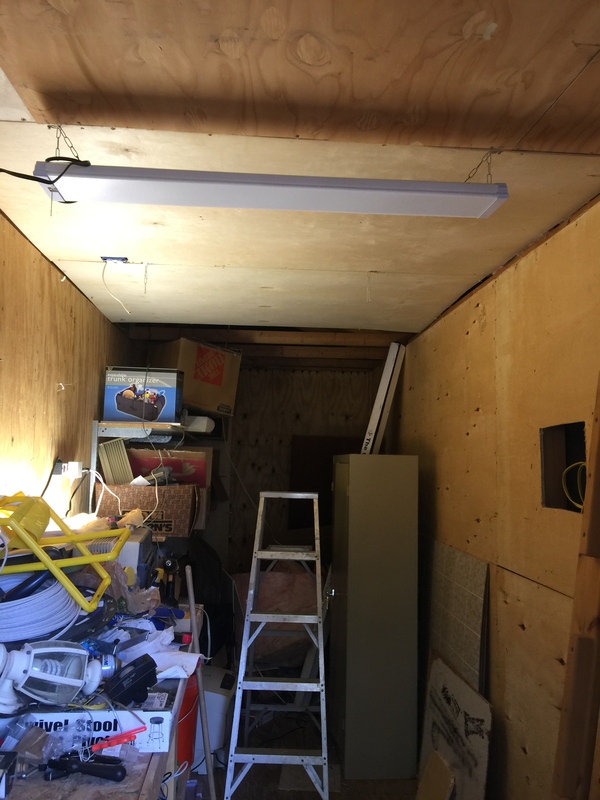 So far I have the space cleaned out, insulated, and heated. 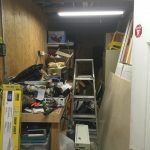 Next, I will be building some display shelving, I am planning on 3 levels of display shelving down the length of the room, and a work bench at the end. 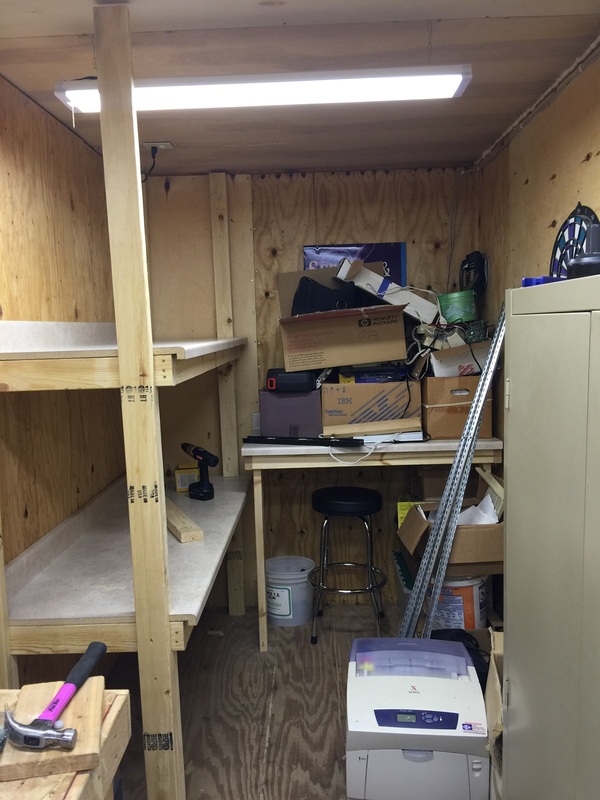 There will be outlets all along the display shelving so the computers can all be powered on and used where they sit on display. 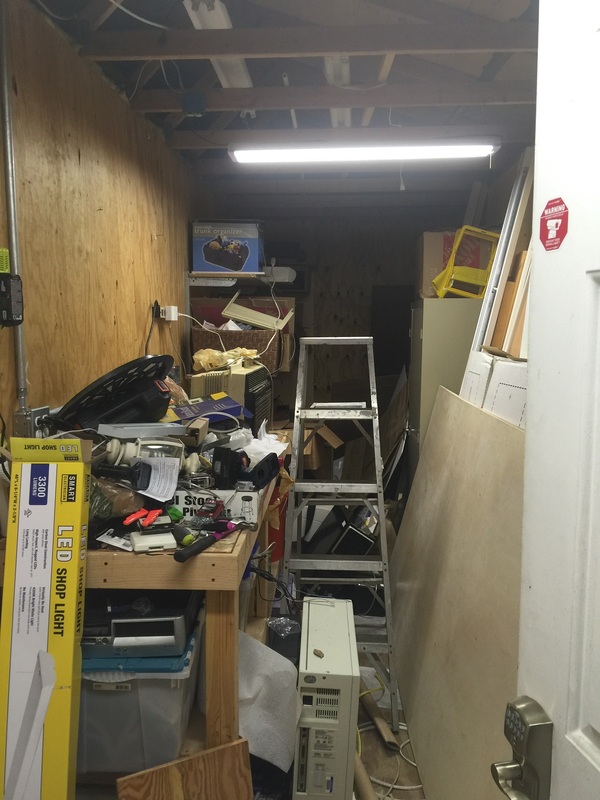 Before any work began, its a messy storage area. 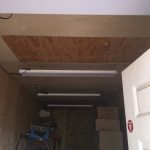 Started insulating and finishing ceiling in 1/4″ plywood. 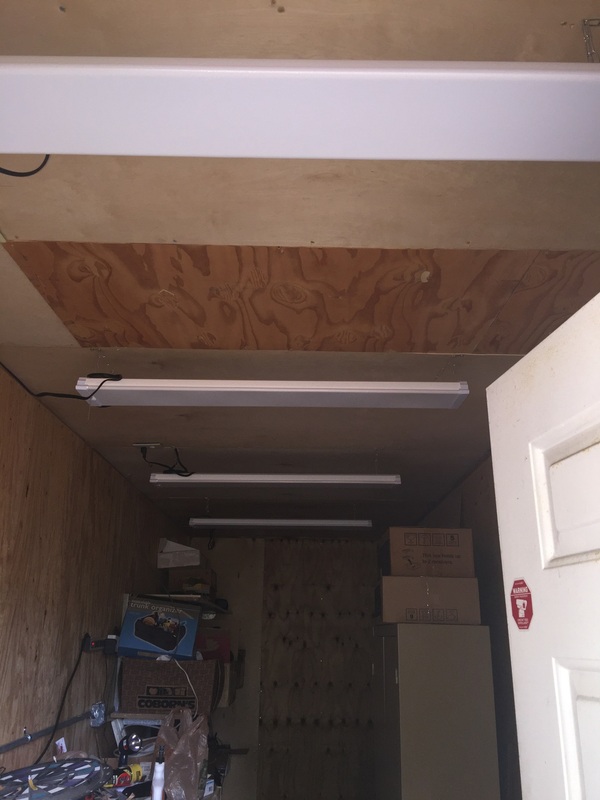 Ceiling finished, LED lights installed. 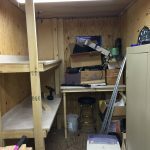 Started on shelves and workbench.